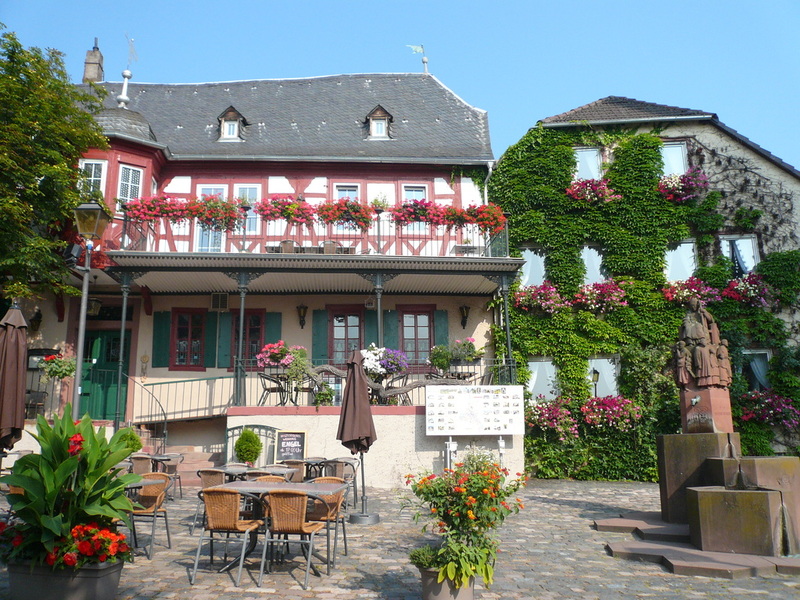 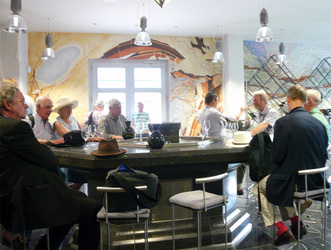 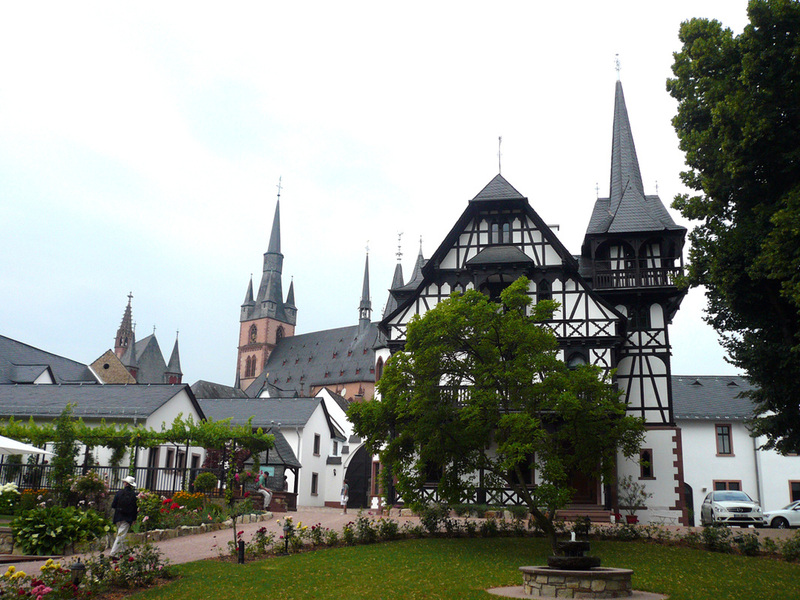 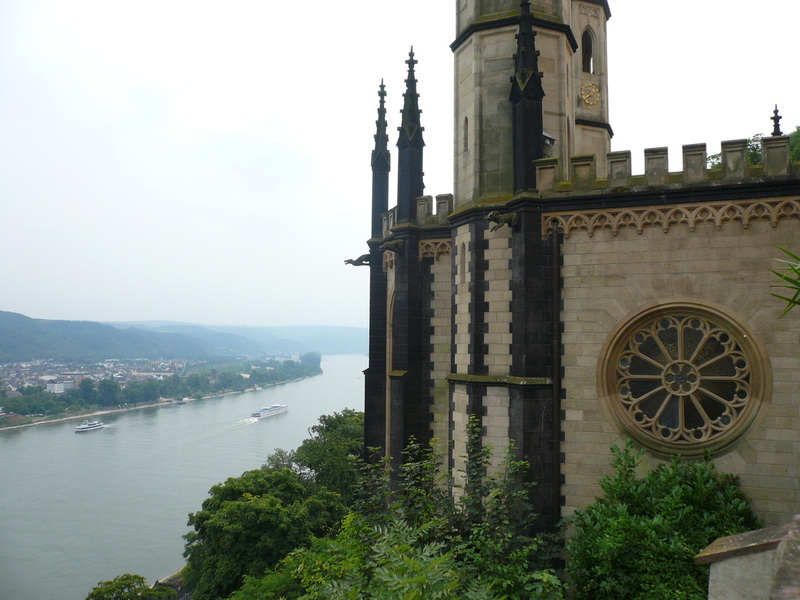 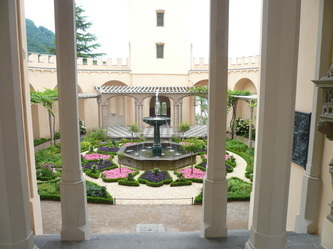 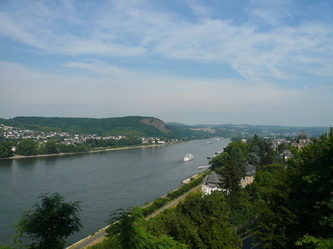 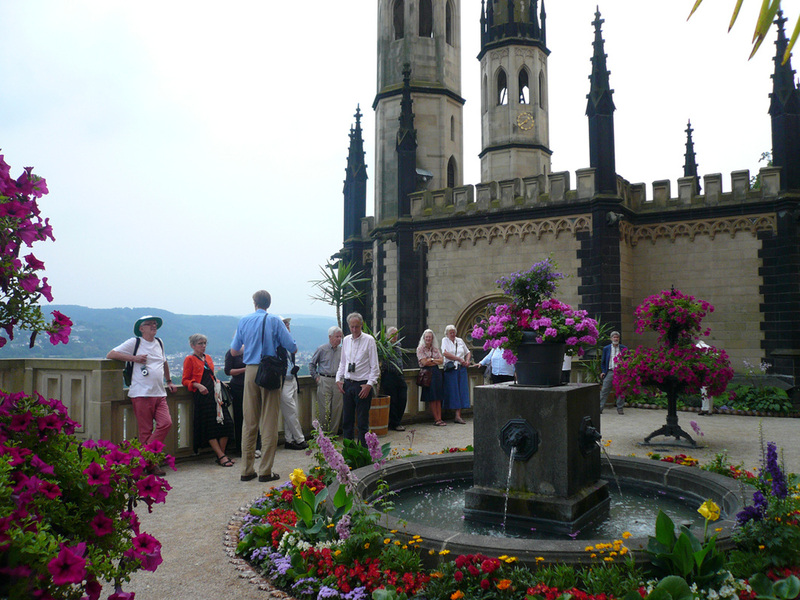 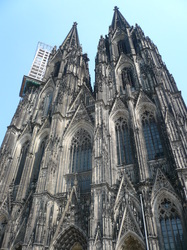 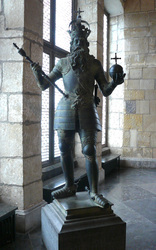 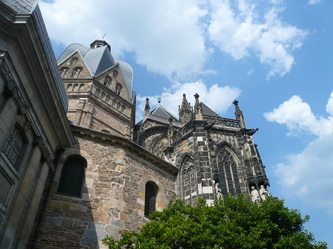 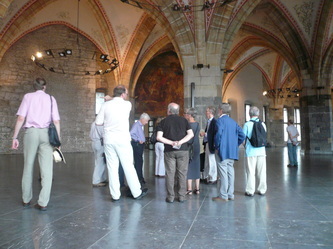 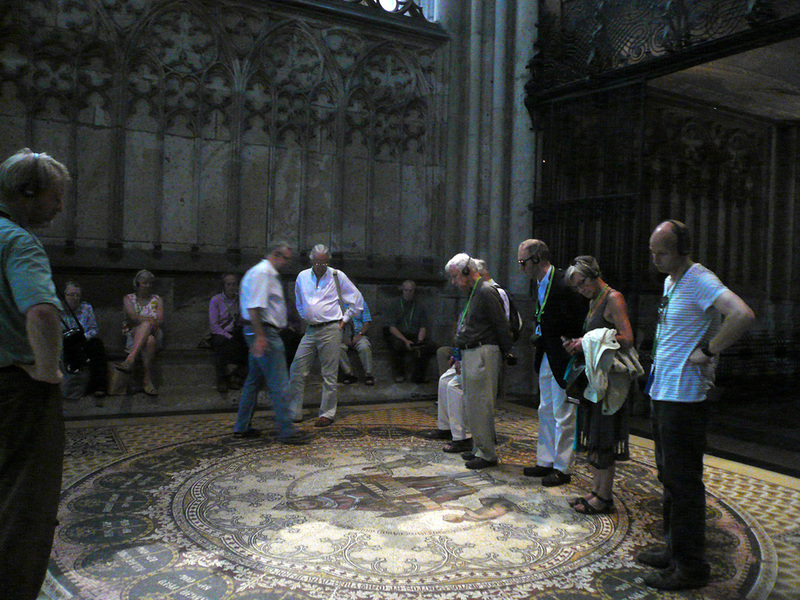 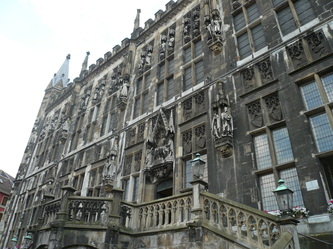 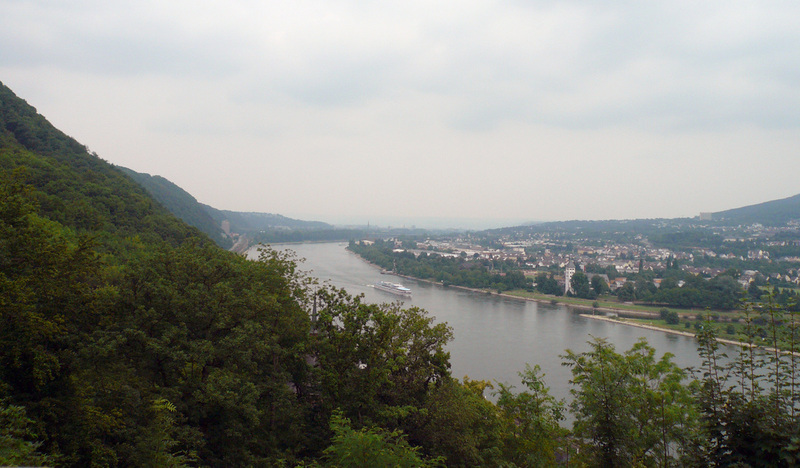 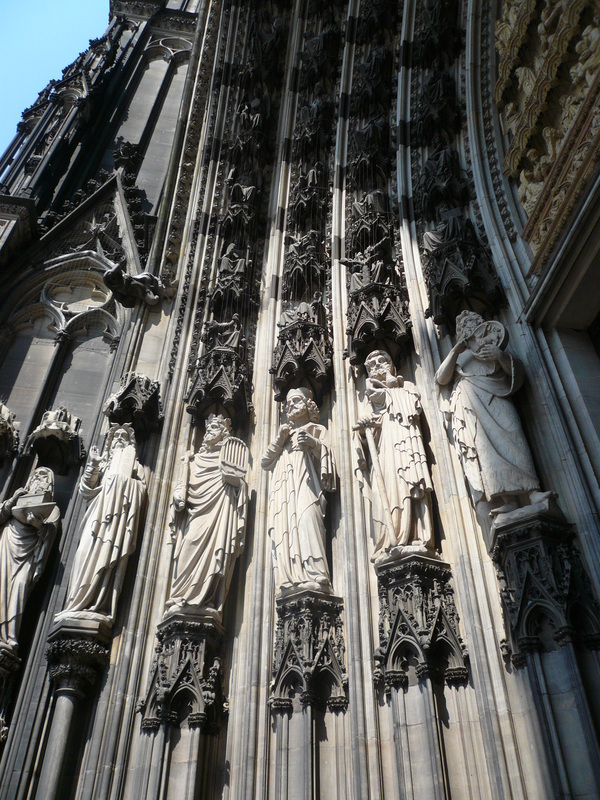 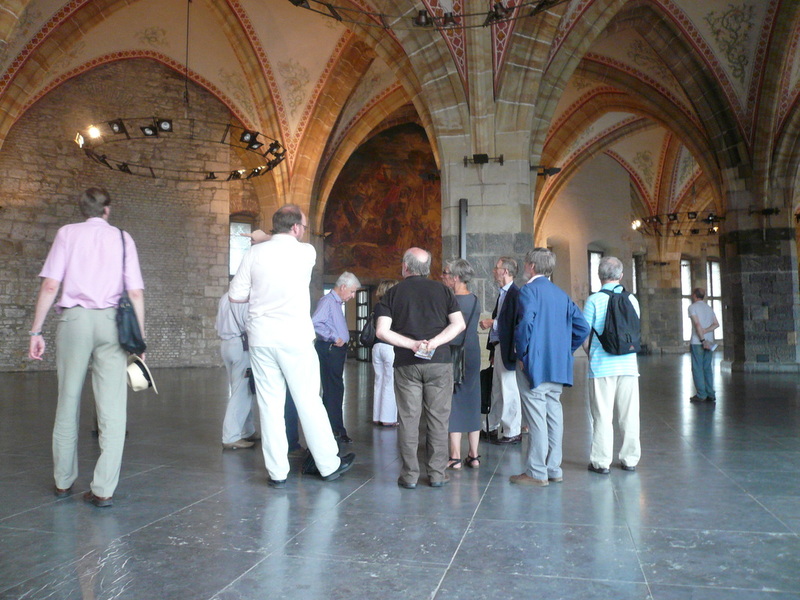 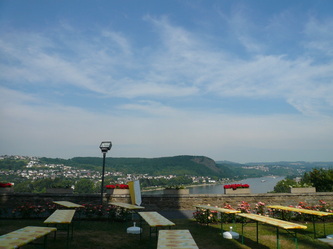 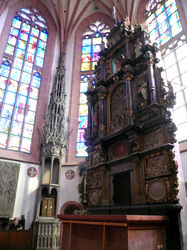 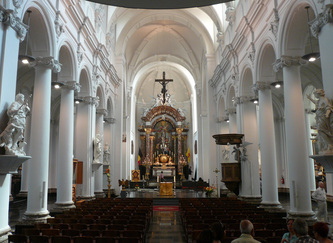 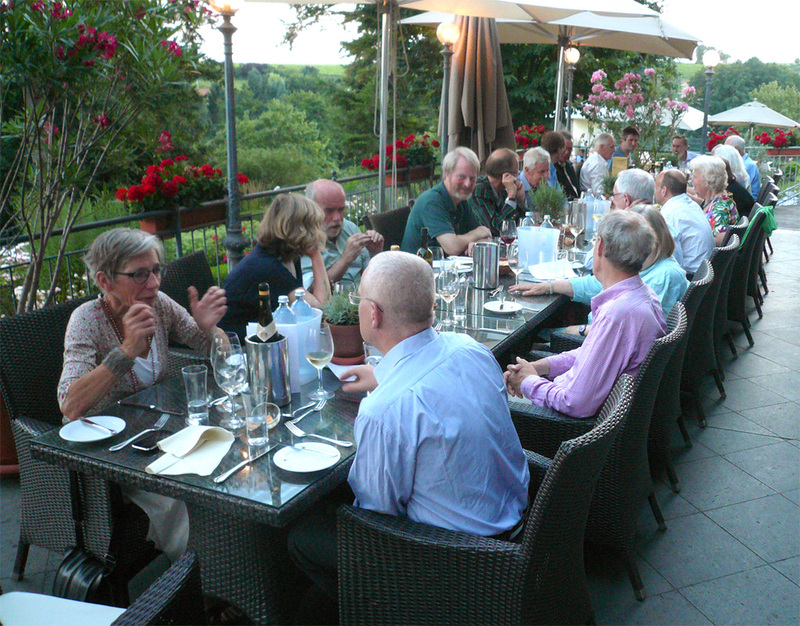 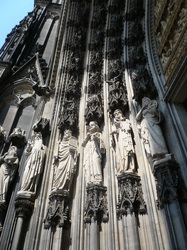 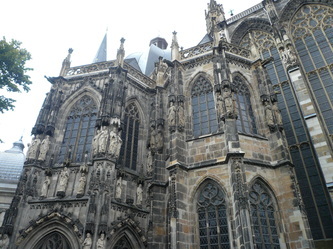 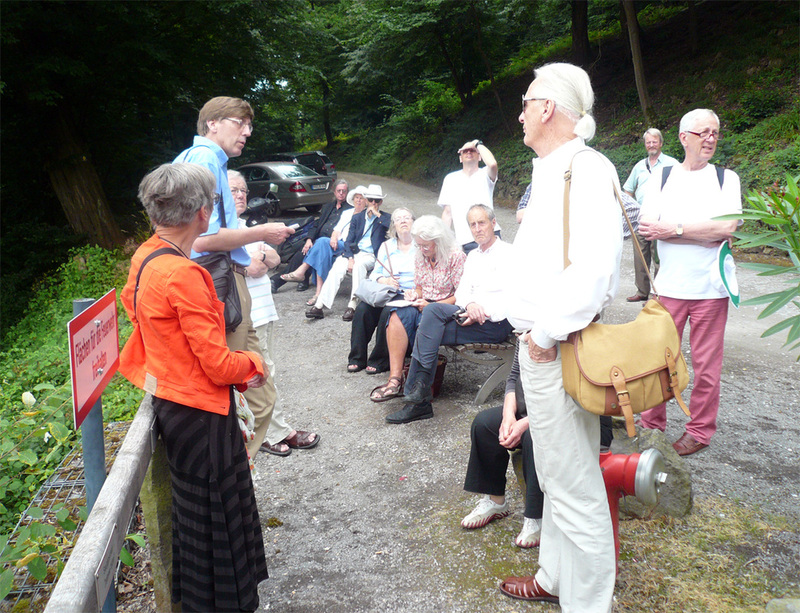 The Society's long-awaited trip to the Rhine took place from Sunday 21 July to Friday 26 July. 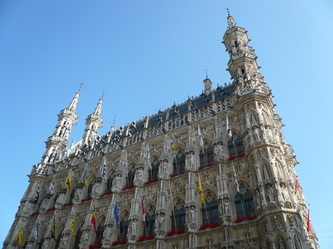 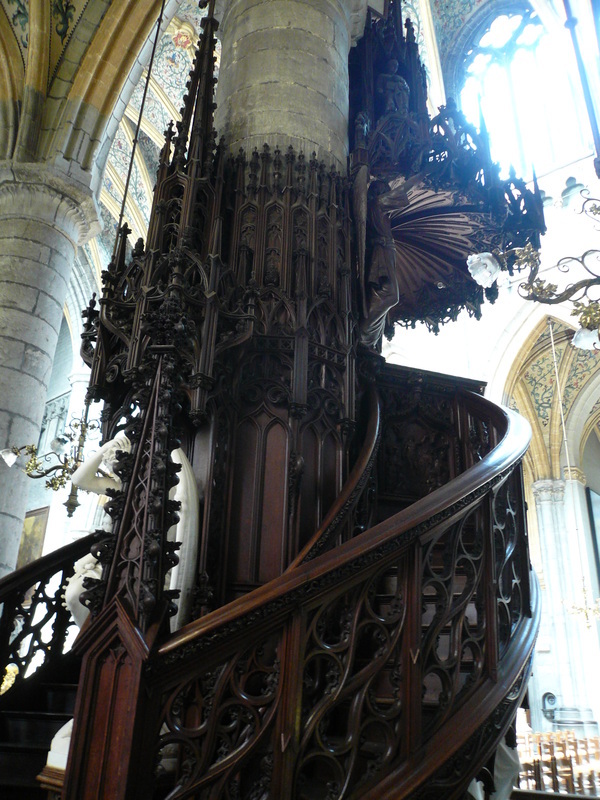 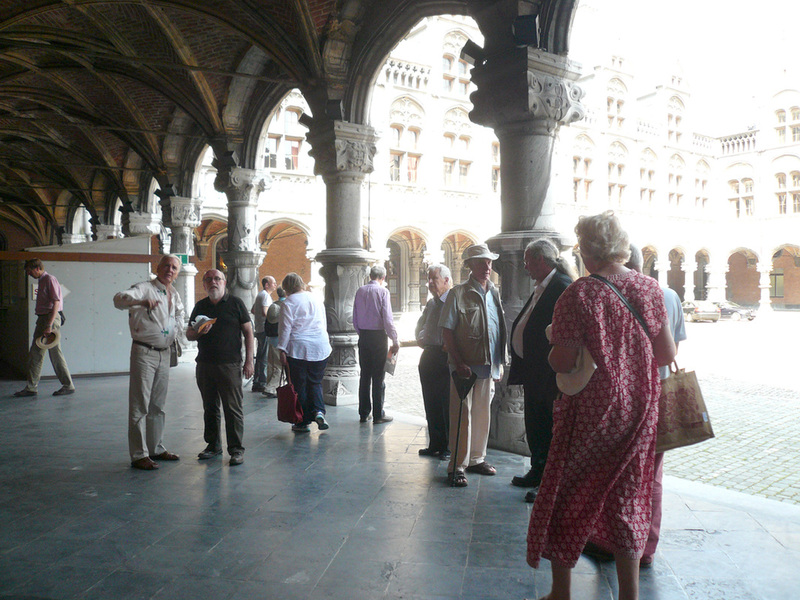 Led by Professor Jan De Maeyer, Director of KADOC at the University of Leuven and an international expert on the architecture and culture of the Gothic Revival, with Emeritus Professor Luc Verpoest (Faculty of Engineering, School of Architecture) and Dr Antoine Jacobs as guides. 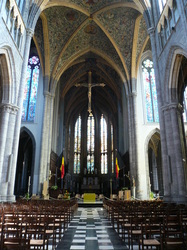 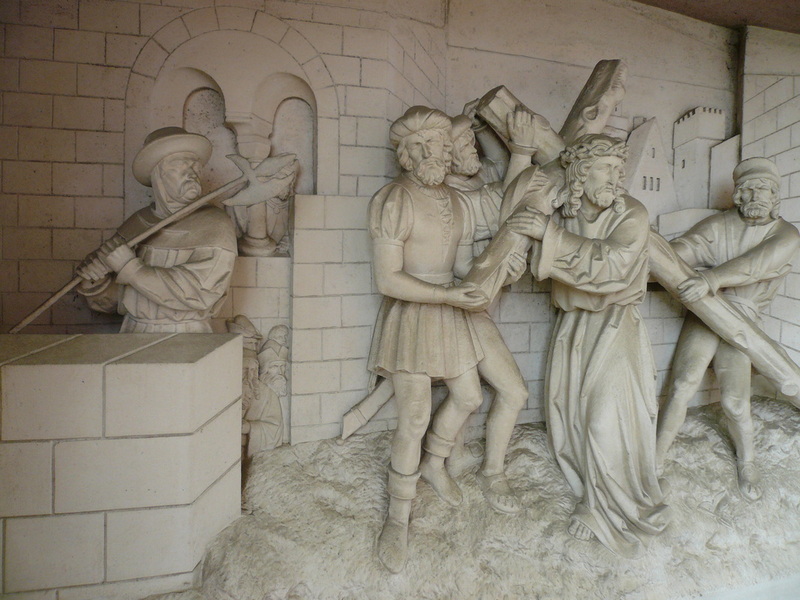 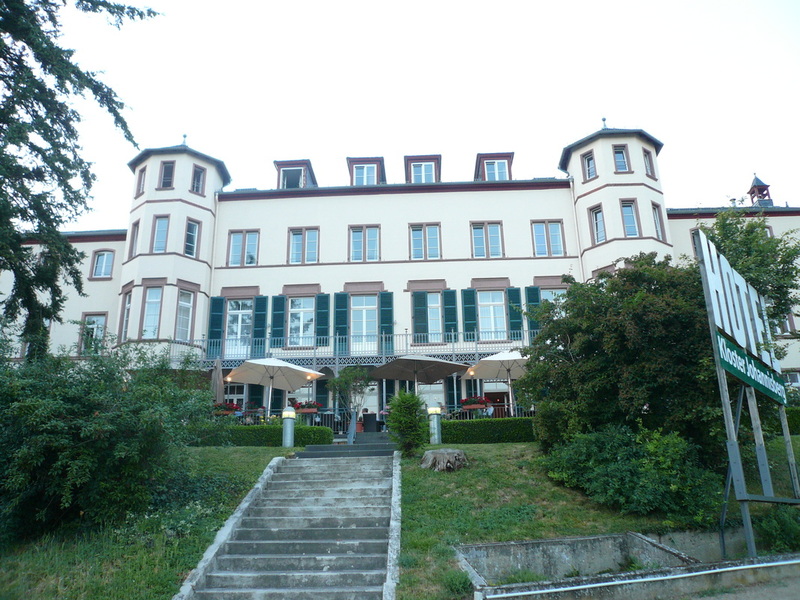 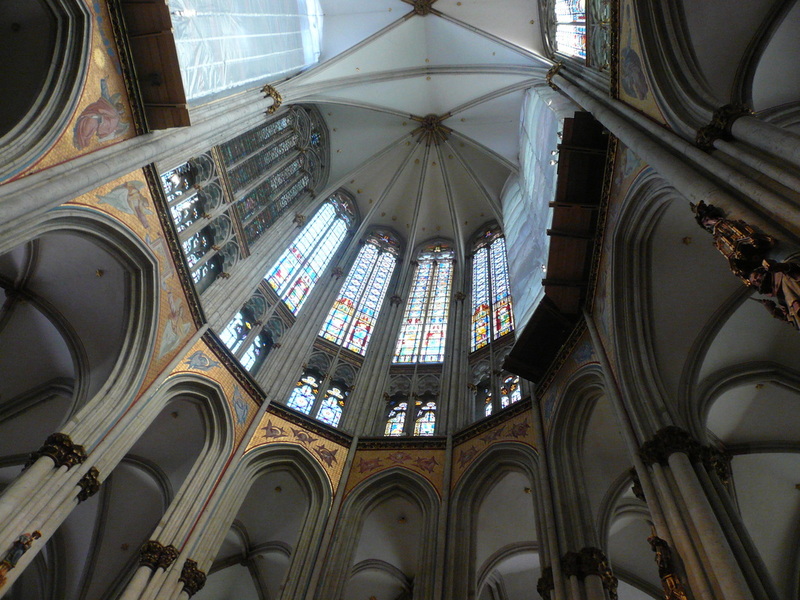 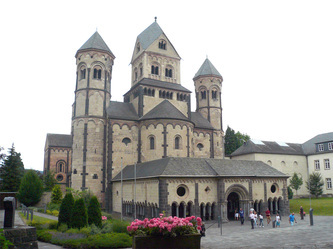 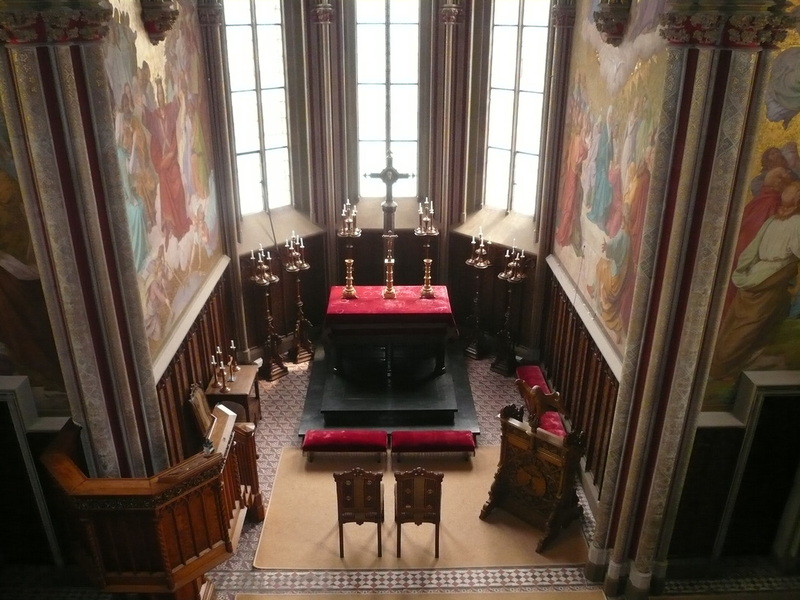 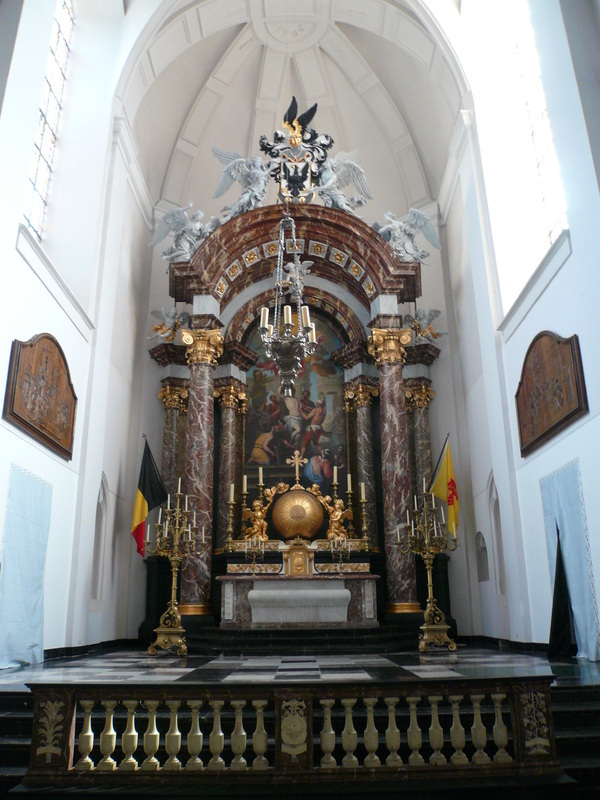 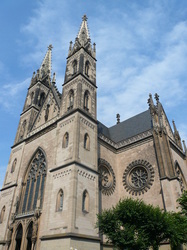 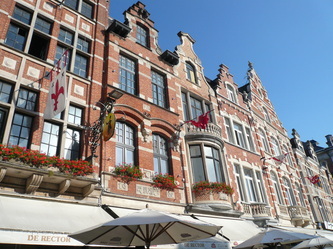 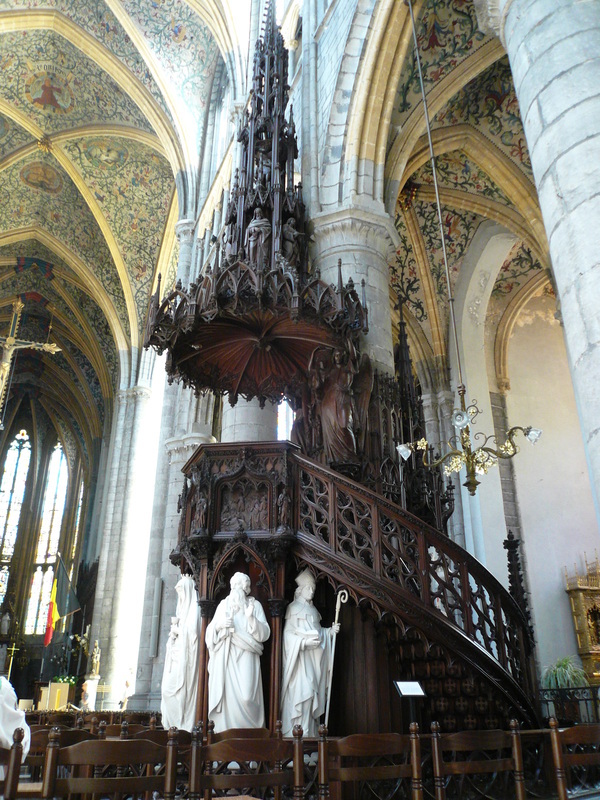 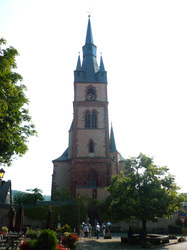 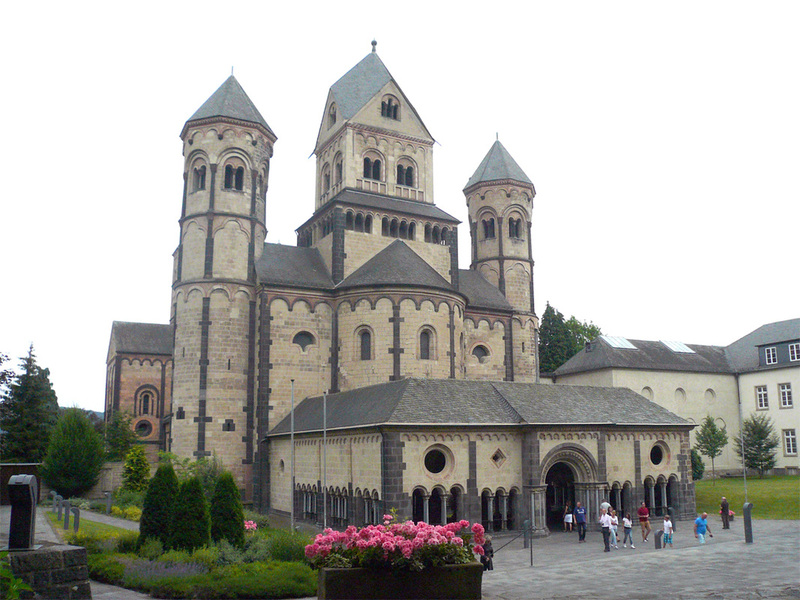 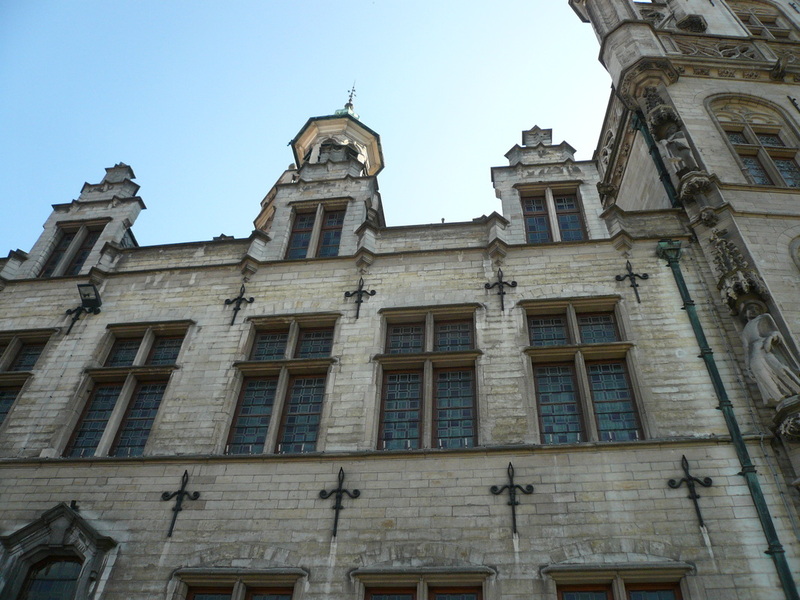 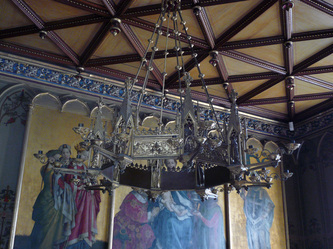 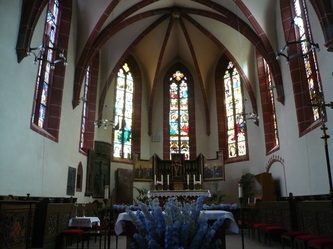 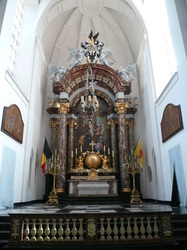 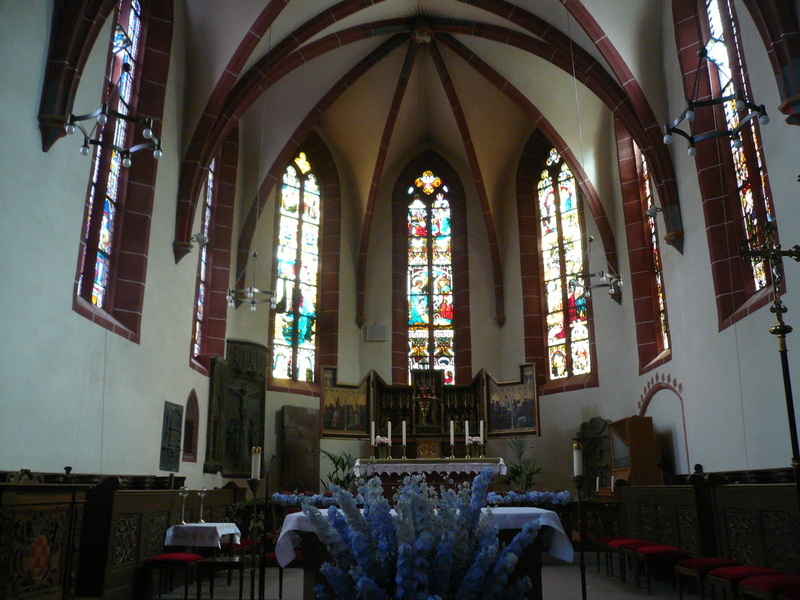 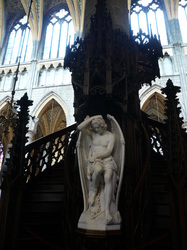 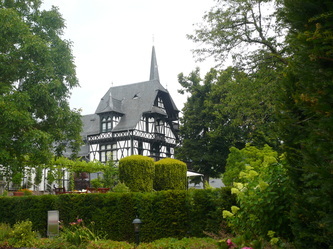 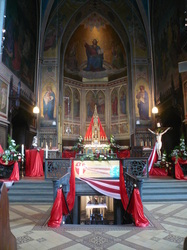 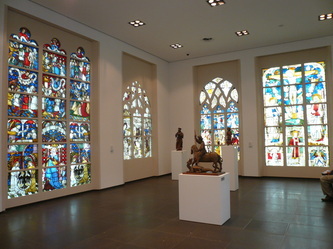 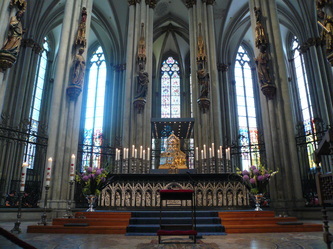 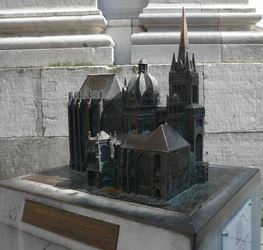 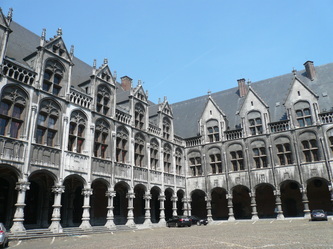 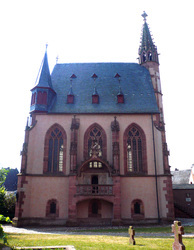 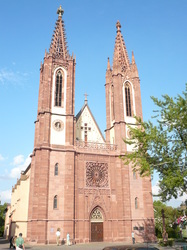 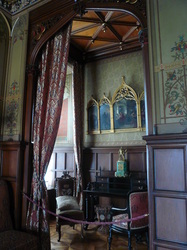 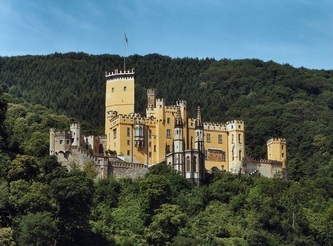 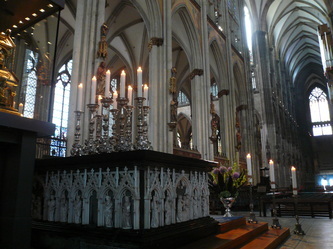 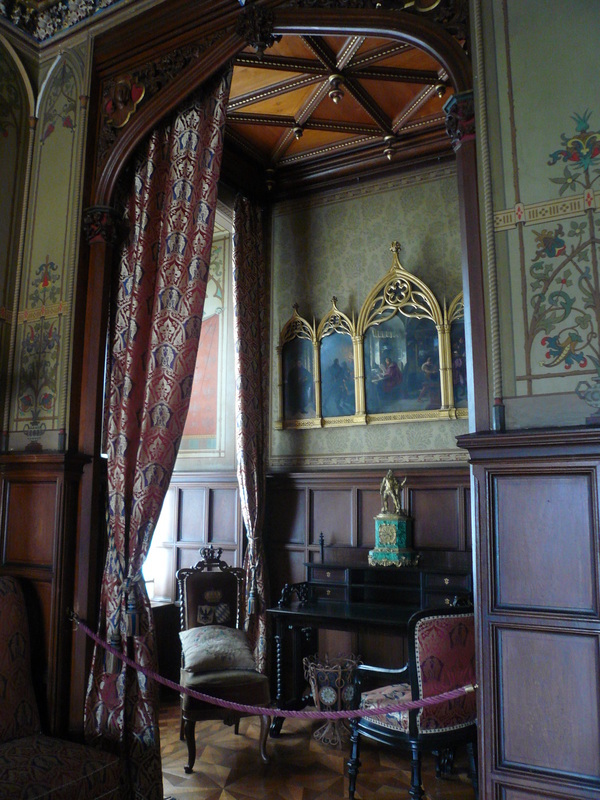 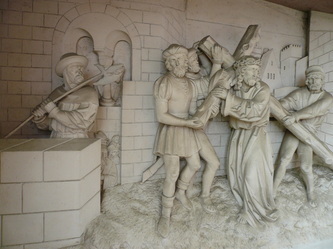 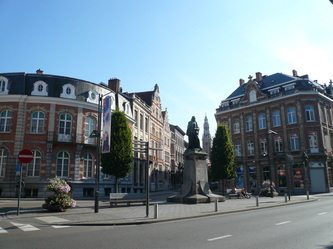 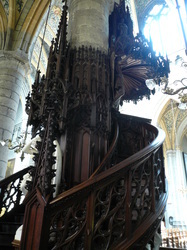 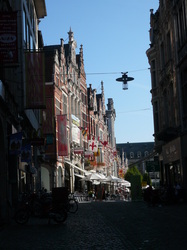 In this study tour we explored the connections between the English Gothic Revival of Pugin and related Continental developments particularly in Belgium and Germany, reaching the complex of buildings erected by Sir John Sutton, the wealthy English landowner and friend of Pugin, at Kiedrich on the Rhine. 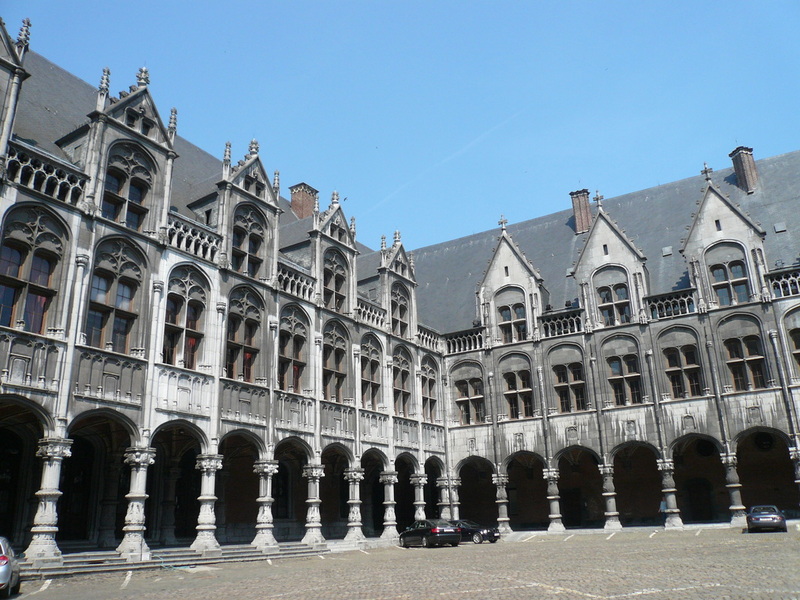 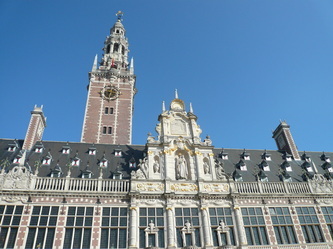 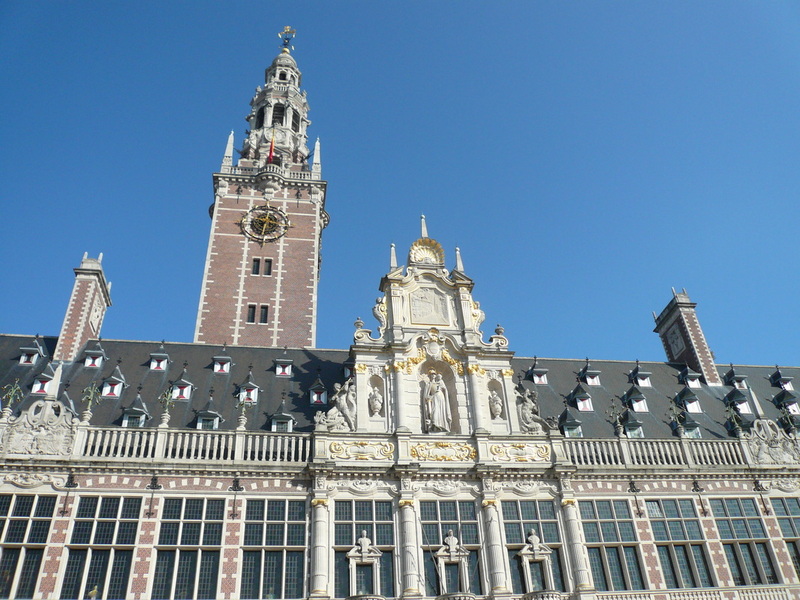 The trip started on Sunday 21 in the beautiful university city of Leuven, where we were welcomed that evening with an introduction to the trip by Jan De Maeyer and his colleagues followed by drinks and sandwiches. 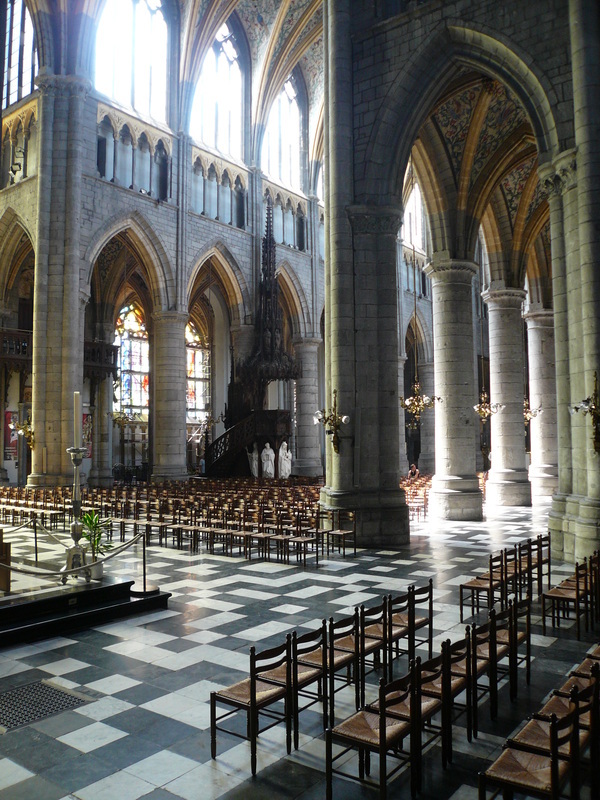 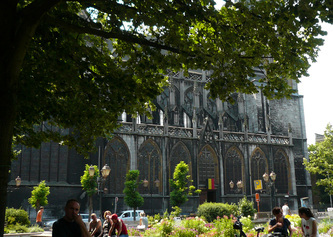 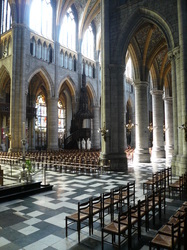 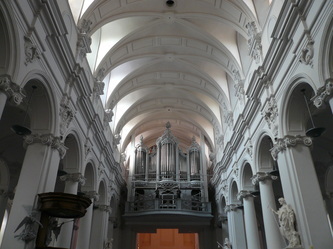 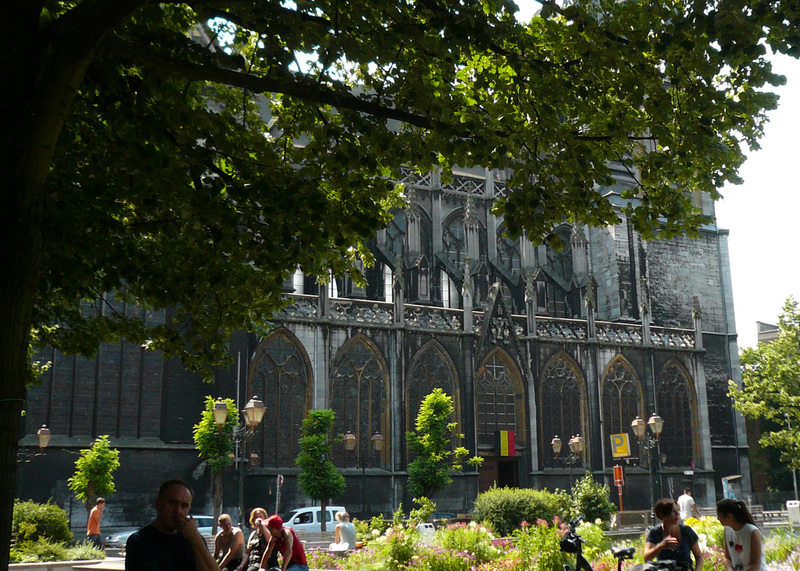 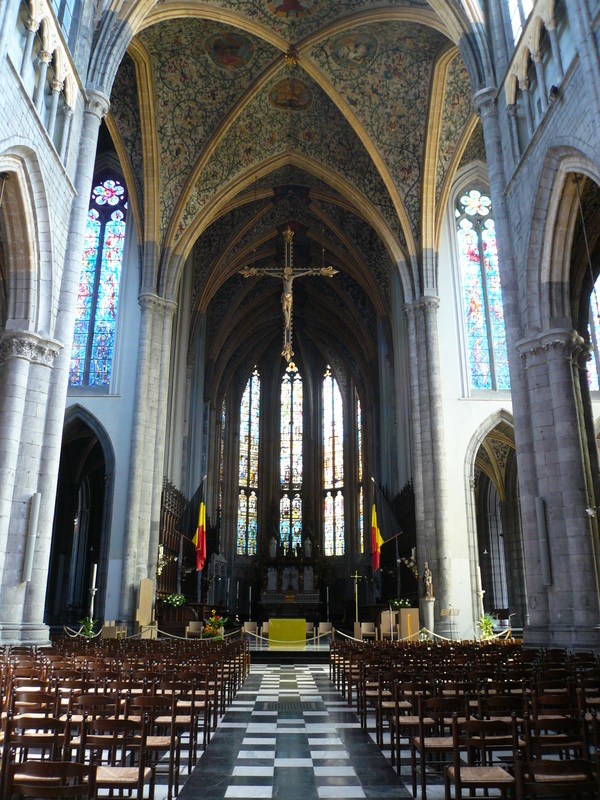 On Monday 22 we traveled by coach to Liège, where we visited the ruins of the old cathedral, demolished in the French Regime, and the new Gothic Revival cathedral. 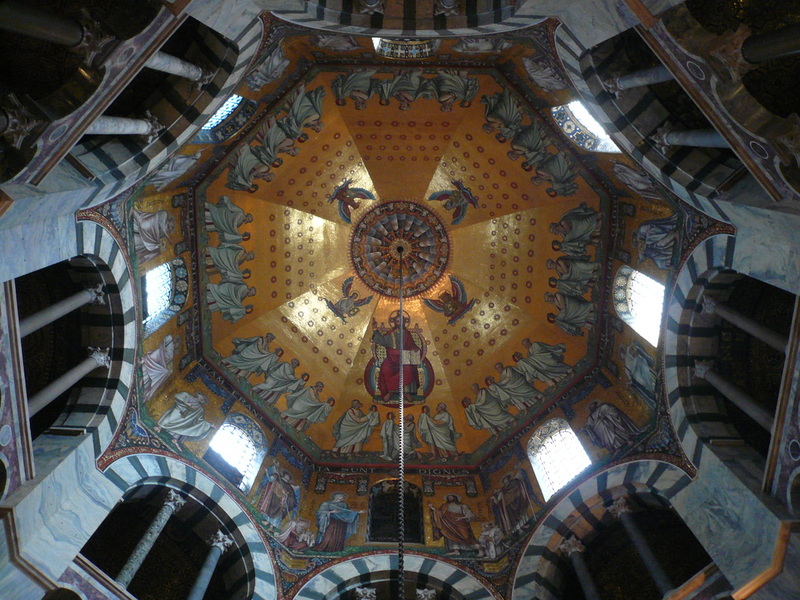 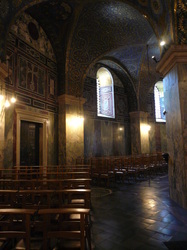 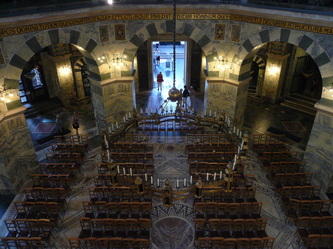 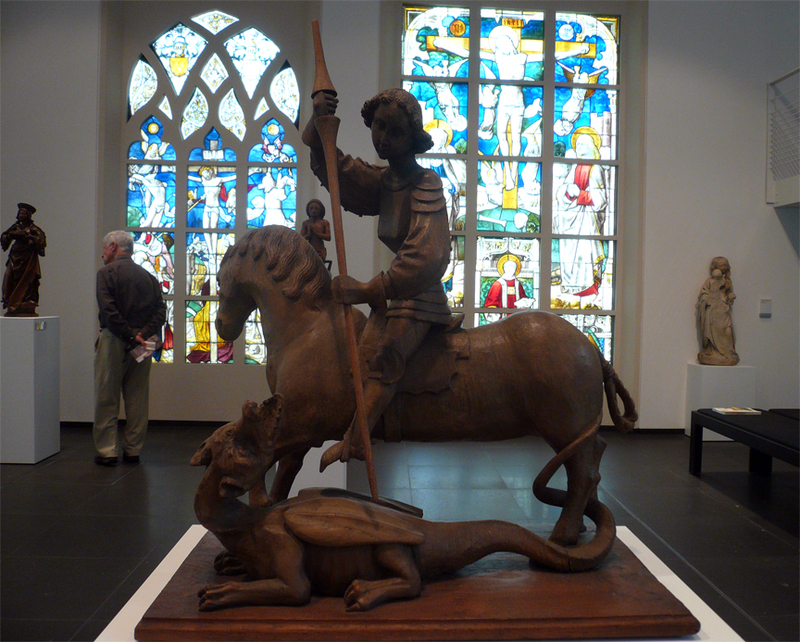 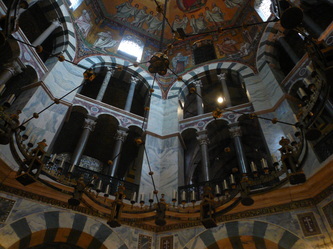 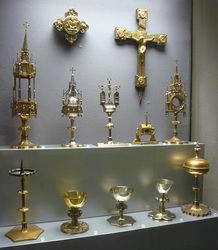 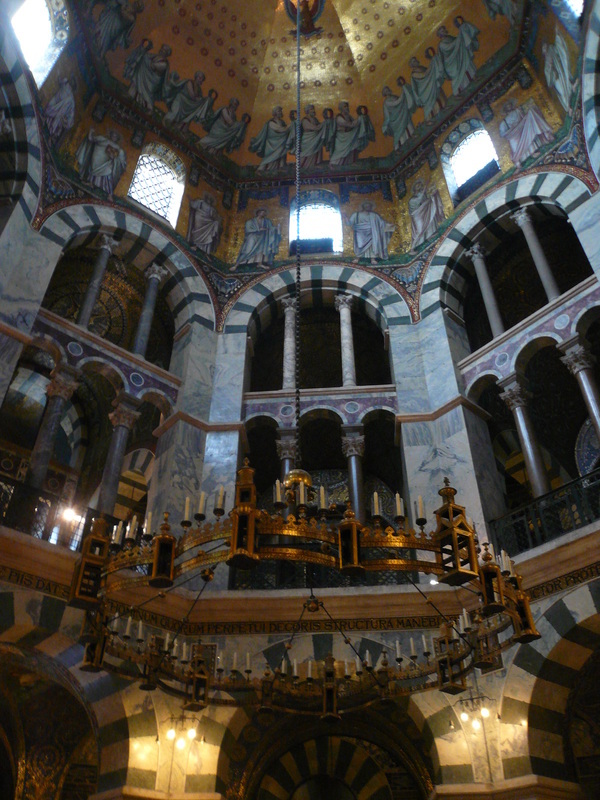 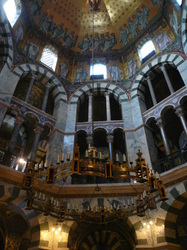 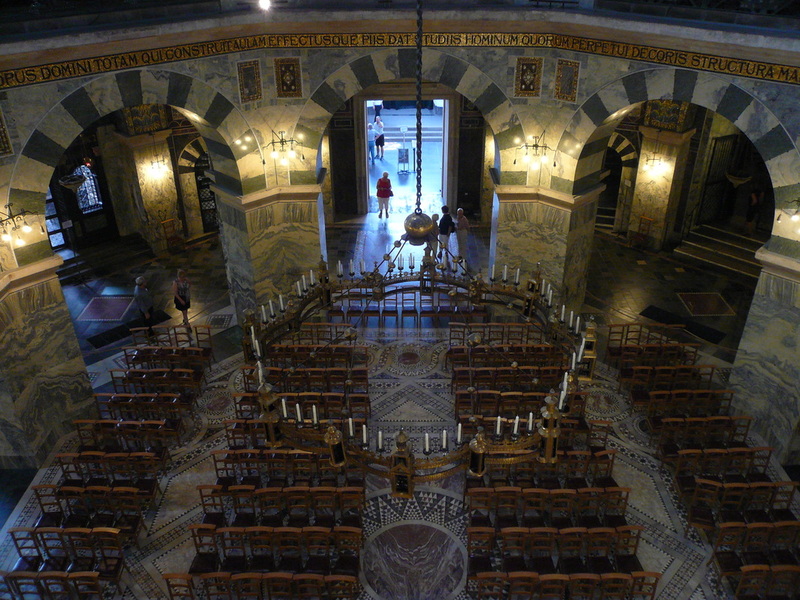 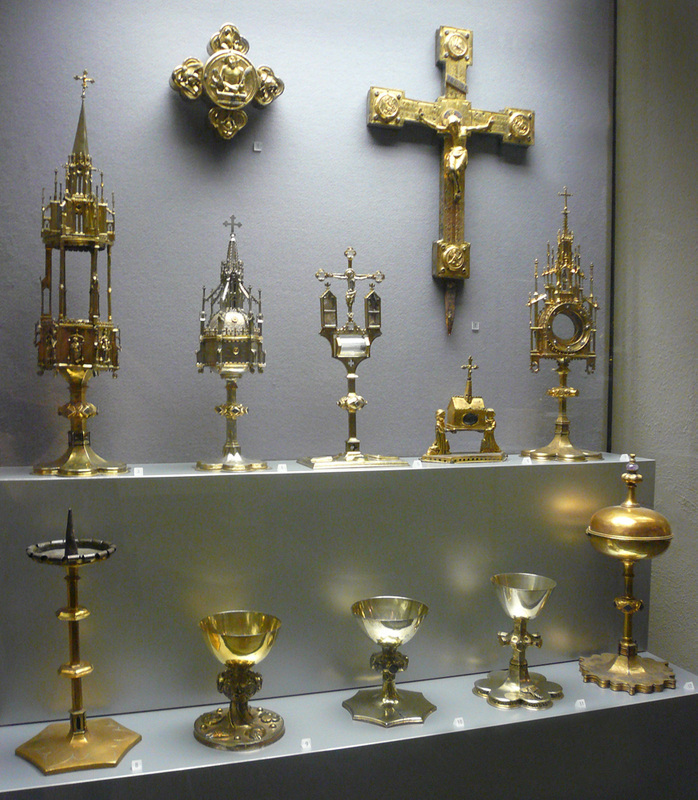 We then drove to Aachen, the city of Charlemagne, where we saw the dom with its palatine chapel (790-800) and superb goldwork, mosaics and marbles from the twelfth century. 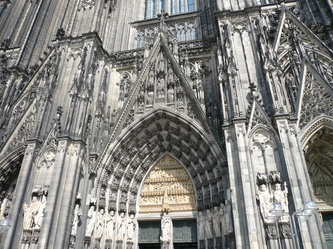 We also saw the Kaiserhalle (Rathaus). 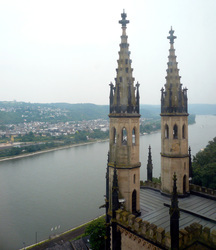 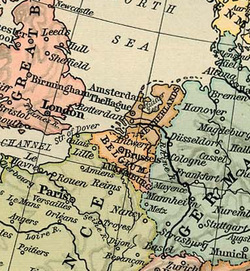 That evening there was a lecture by Luc Verpoest and Wolfgang Cortjaens on the Gothic Revival in the Rhineland and the British Connection. 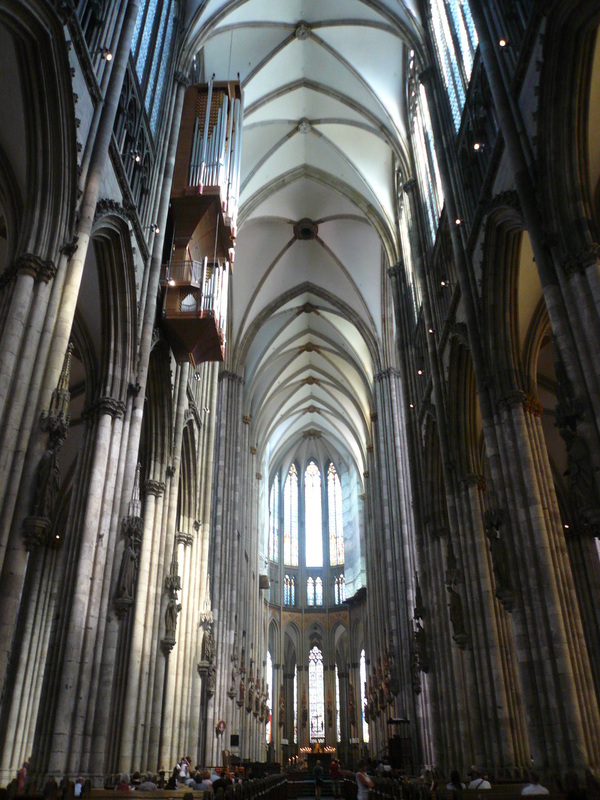 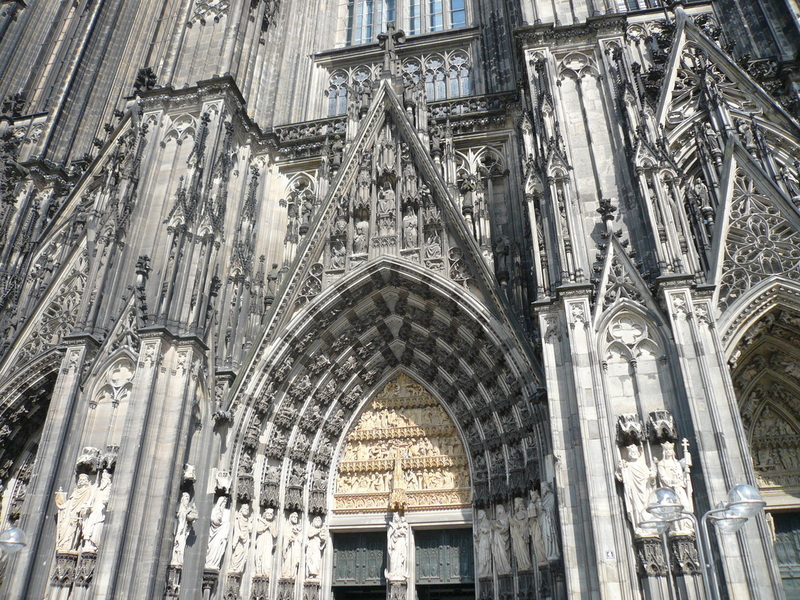 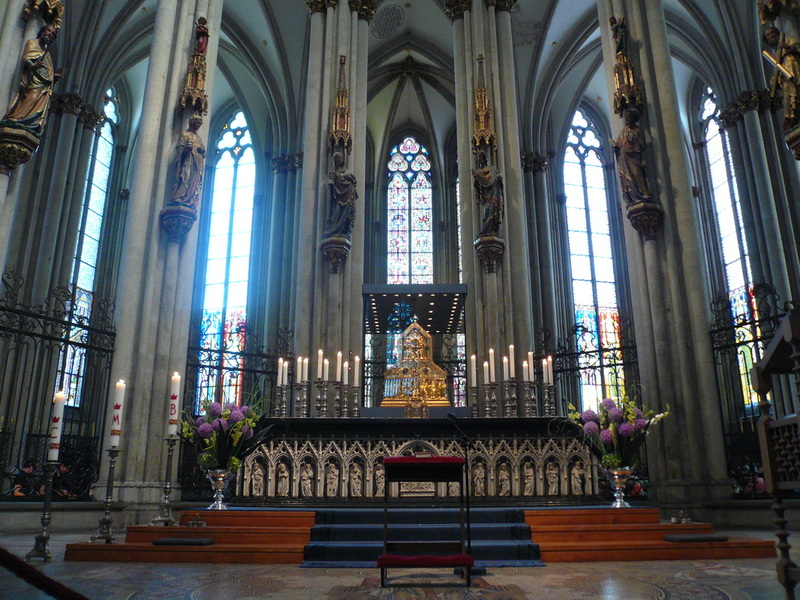 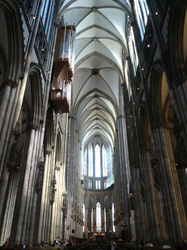 On Tuesday 23, we traveled to Cologne, where we visited the Cathedral which was completed as a result of the celebrated competition in the nineteenth century. 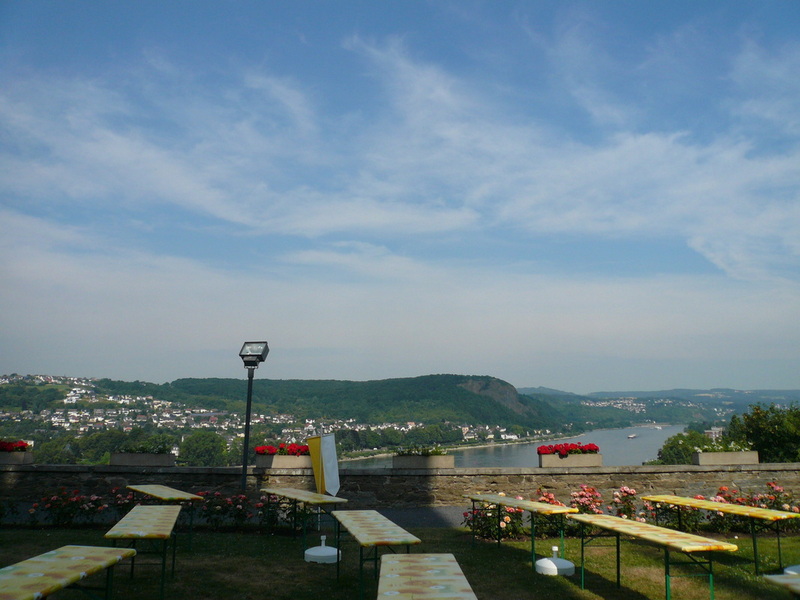 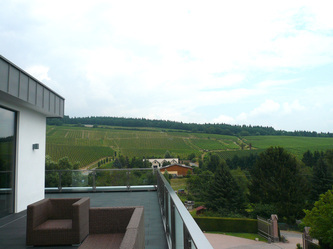 We saw the installations of the Dombauhutte, the arched roofs, and the Schnutgen museum. 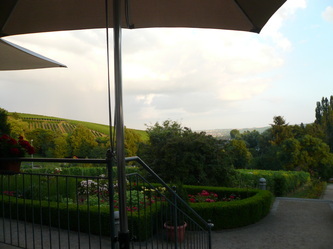 We then drove to Bad Honeffe for the night. 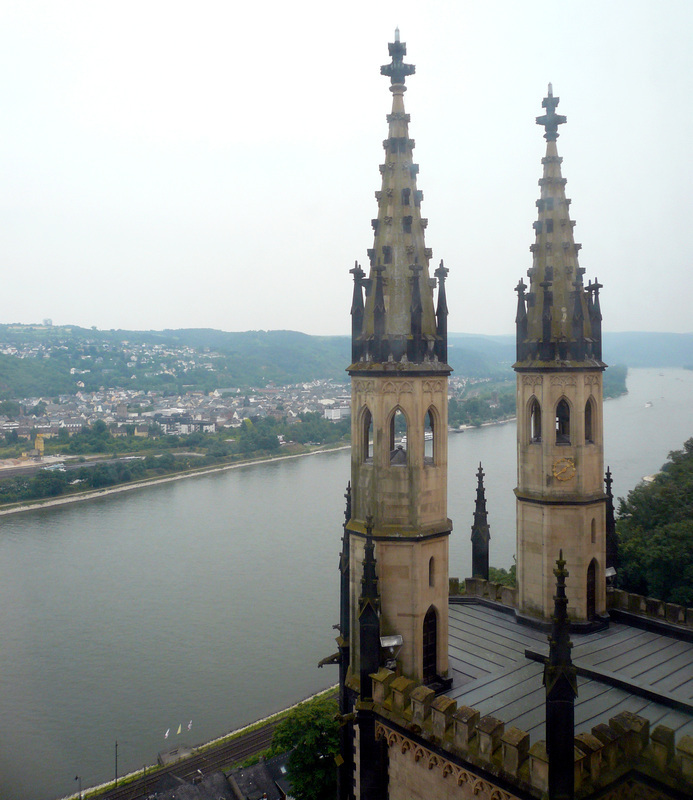 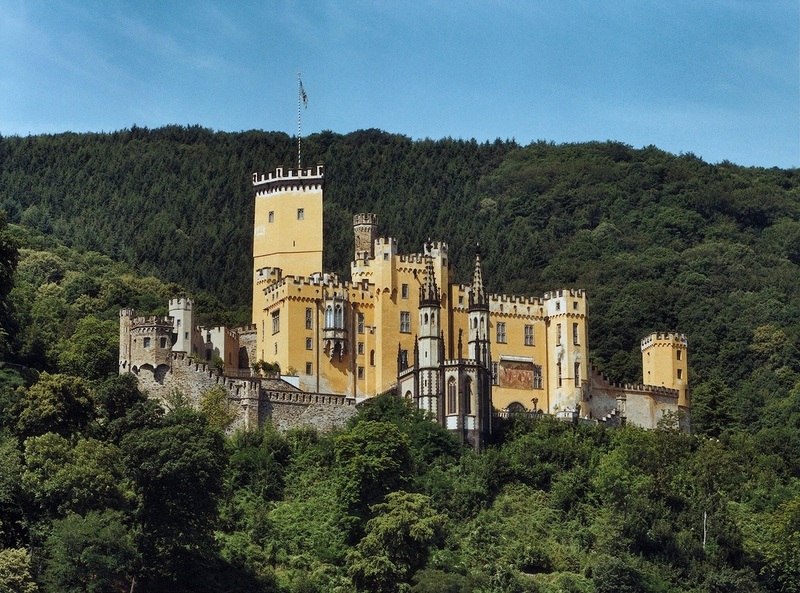 On Wednesday 24 we traveled down the Rhine, stopping at Schinkel's Stolzenfels Castle, a pioneering exercise in the neo-gothic, poised dramatically over the Rhine, and the German Romanesque abbey of Maria Laach. 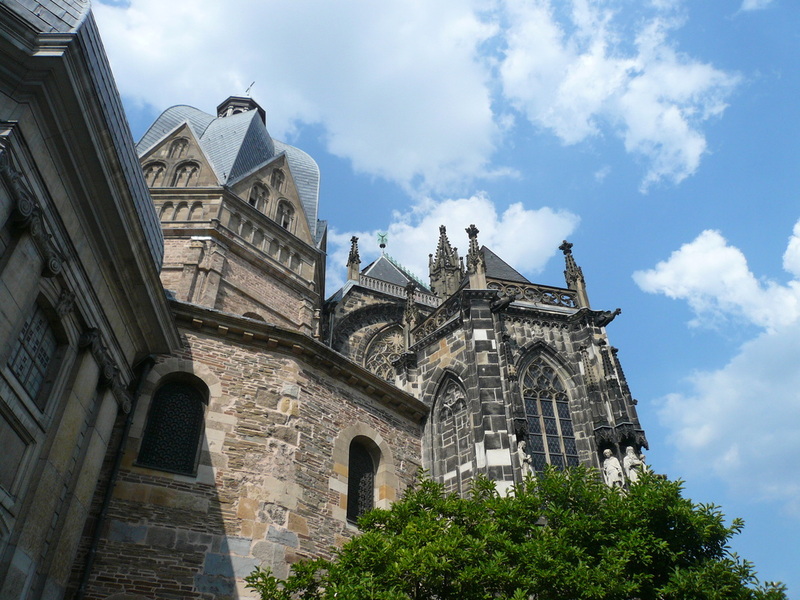 That afternoon we saw Remagen and the Appolinariskirche (early Gothic Revival), and ended the evening at the Kloster Johannisberg-Geisenheim. 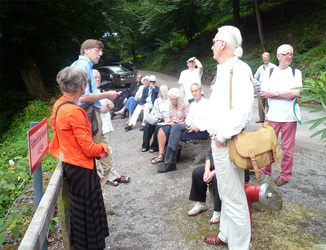 On Thursday we reached Sir John Sutton's complex at Kiedrich. 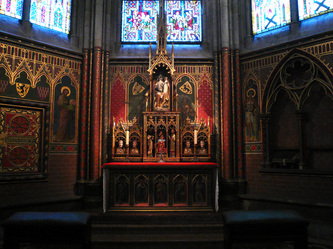 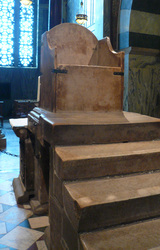 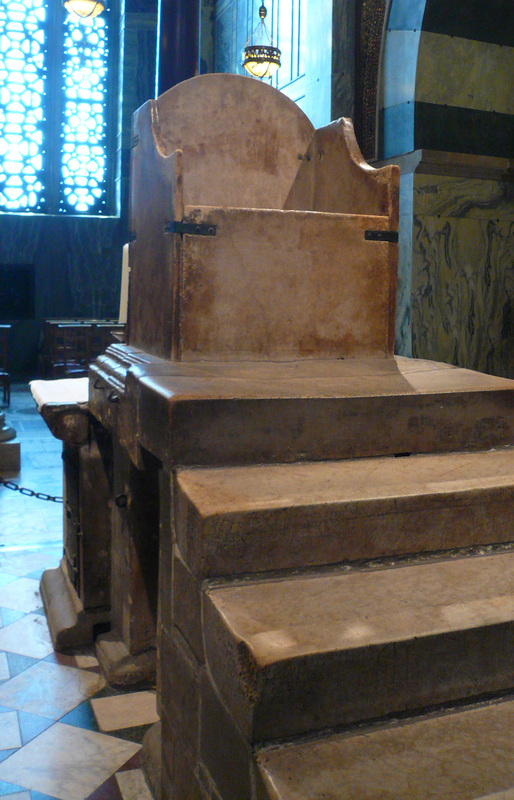 Sutton was a friend of Pugin, whom he met through his father's patronage of him at the Anglican church of West Tofts. 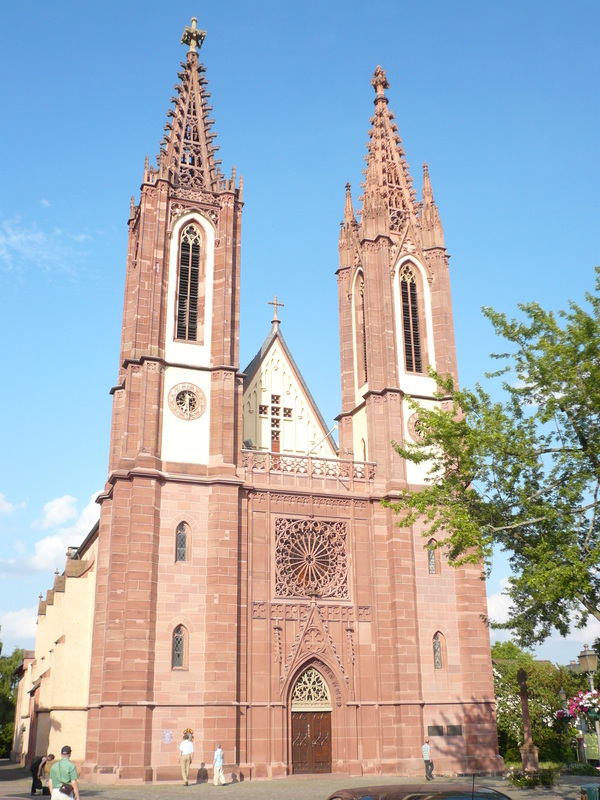 A generous supporter of the revival of church music in England and Germany and enthusiast for the Gothic revival, he moved to Germany after converting to Catholicism, where he endowed a chantry college and choir school at Kiedrich, which still functions today. 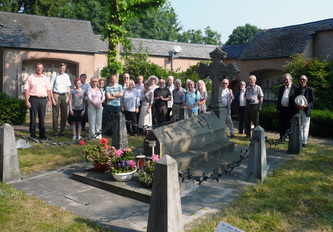 We visited the complex of buildings associated with him, including the church, the work of August Martin, Sutton's house and tomb. 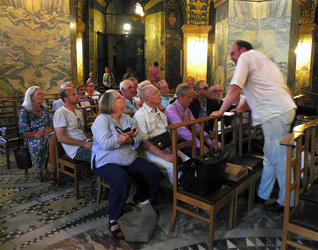 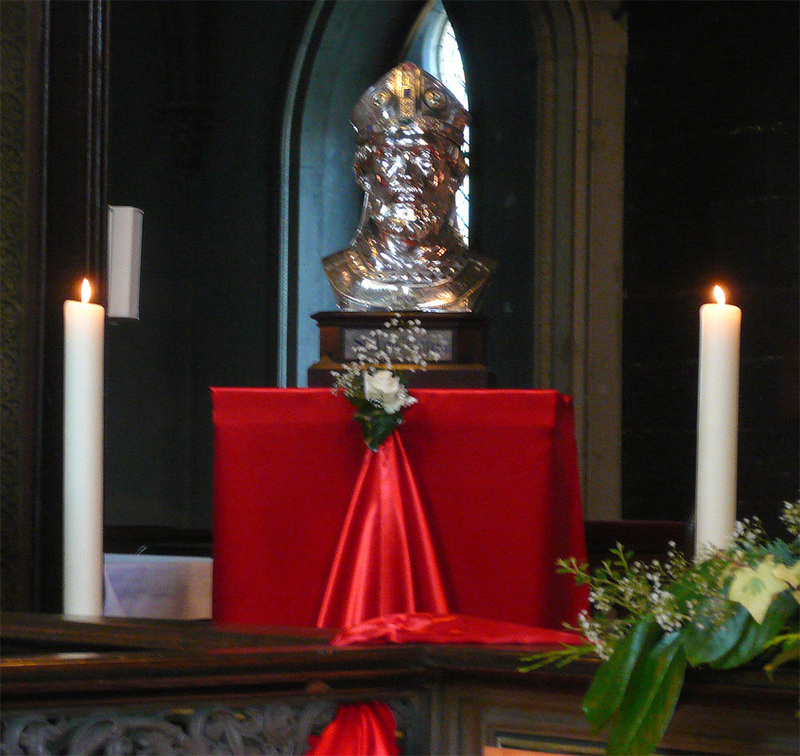 Antoine Jacobs spoke on August Martin and the connections between Pugin, Bethune and Sutton. We then visited the church at Eltville (with work of August Martin), and Geisenheim, where the church is a small and interesting copy of the Cologne cathedral, before returning to Kloster Johannisberg-Geisenheim in time for our closing dinner. 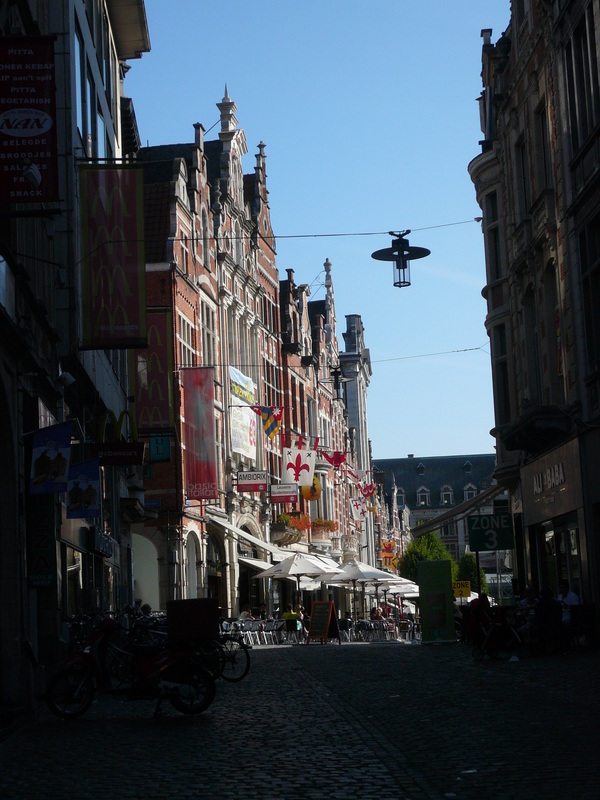 On Friday 26th we left Germany to travel back to Brussels, arriving earlier than expected and enjoying an impromptu tour of Brussels' celebrated landmarks thanks to Jan De Maeyer and Luc Verpoest.